Call Day 2015 remains a vivid memory for Rev. Matthew Schuler. 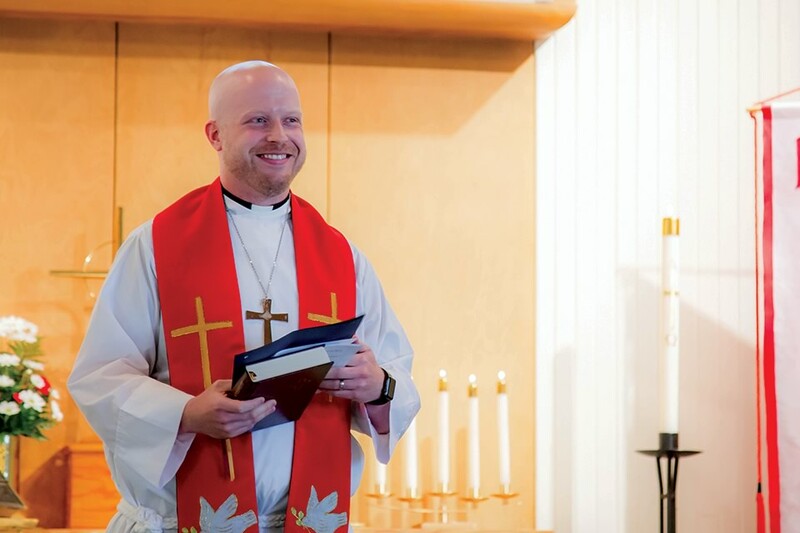 Soon after hearing his first call as sole pastor at Holy Cross Lutheran Church in Oxford, Mich., he and his wife, Liz, cried. Their eyes were still red when they took a group photo with Lutheran Church—Missouri Synod Michigan District President Dr. David Maier and his wife, Pat, a little later that evening in the Chapel of St. Timothy and St. Titus. They stood, emotions mixed, with all those receiving vicarages and calls to the district as the cameras flashed. “Surprisingly, you can’t tell in the photos,” Schuler said laughing. The Schulers dubiety had nothing to do with returning to Michigan. Throughout the call interview process, he and his wife were open to any placement. “We were looking for the best fit,” he said. After interviewing for associate pastor calls with about six churches, the Schulers believed there was one in particular that was the perfect fit. To them, the feeling seemed mutual and it was pretty much a done deal. “I knew where I was going,” he said. Or so he thought. The call to be the sole pastor of Holy Cross was unexpected. “The moment the word ‘pastor’ was spoken, everything I knew went out the window,” he said. 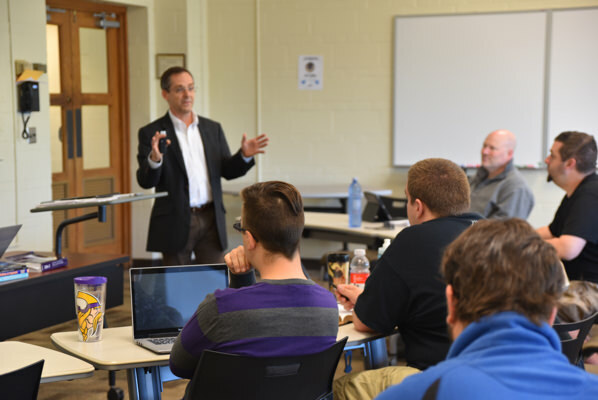 Students who are going into sole pastorates do not typically enter the pre-Call Day interview process, said Concordia Seminary Director of Placement Dr. Glenn Nielsen. Sole pastor calls are usually on the recommendation of the placement director in conversation with the district president. For Schuler, he had not interviewed with anyone from Holy Cross. For that reason, he said he feared being unable to meet the congregation’s expectations. Schuler describes Holy Cross as a small church in the midst of a revitalization. When he arrived, there were about 60 worshipers, with an average age of 70. His first initiative as pastor was to re-engage the community. He implemented weekly Bible studies at different businesses in the community, launched a second service (one traditional and one contemporary) and created a worship team comprised of the parents at Holy Cross’ very popular preschool, who, at that time, were not typically becoming members of the church. “I wanted to make it more of a community church,” Schuler said. Schuler describes his first year as “emotionally, spiritually and relationally challenging.” Some congregants did not trust him and they told him so. Many members left the church. Three elders left in the first nine months. “Over and over again there were reminders that people didn’t want me there in the first year,” he said. 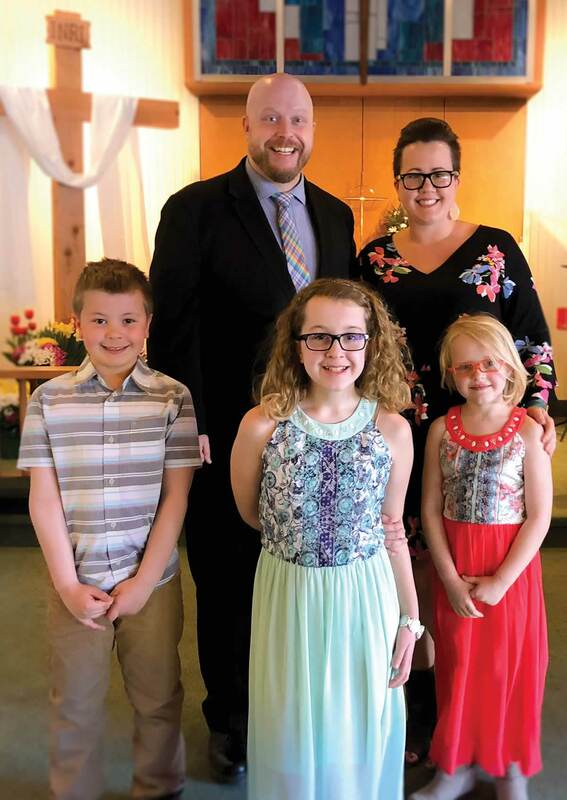 Schuler said the LCMS Michigan District PALS (Post-Seminary Applied Learning and Support) program was instrumental in helping him and his wife with the transition. PALS is a collaborative effort of the LCMS and its districts to regularly bring together groups of seminary graduates throughout the first three years of their ministries to worship, study and discuss new ministry experiences with a seasoned pastor. Through the program, the Schulers were able to form relationships with other pastors and their families. “I encourage everyone to take part in the PALS program as they’re able,” said Schuler, who just completed his third year with PALS. Despite the struggles, Schuler also received “tremendous support” from the Holy Cross congregation, which now averages 100 worshipers on Sundays. Schuler wrote about his experiences with his first call in his blog post, “Crying on Call Day”. “I wrote the blog post to encourage the men, women and families in situations that they may not have expected,” he said. 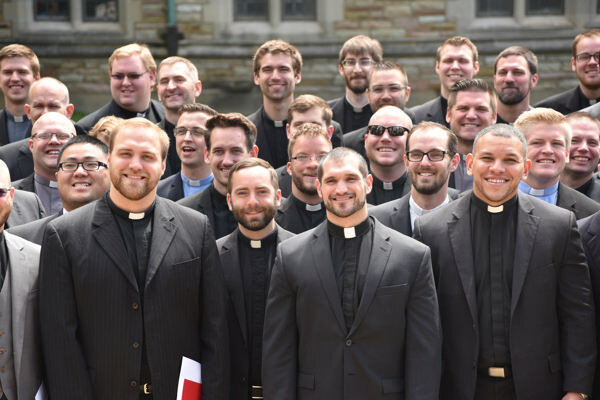 Several new seminarians said they appreciated Schuler’s transparency and candor. While Call Day can be a day of excitement and joy for many, it also can be an anxiety-ridden day for others as they face assignments and placements as vicars and pastors to unknown locations in uncertain situations. In his blog post, Schuler advises new pastors to create a support system of at least three people: a pastoral mentor (someone who is where they are trying to go), a coach (someone to hold them accountable) and a counselor (someone to help them be mentally well). Ultimately, what Schuler wants to get across to new pastors is that no matter what they have in mind, no matter the challenges, God knows what He is doing. Trust Him. Always. Tiffany Hudson is a communications specialist at Concordia Seminary, St. Louis.